Jody Young has a unique approach to her bead art, combining natural elements, colorful beads, gorgeous components and an amazing talent that is now earning her recognition as a fine artist. 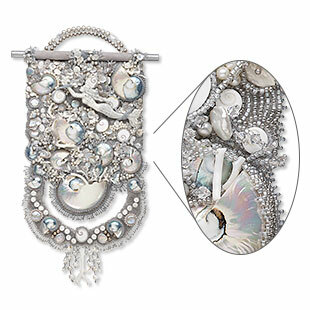 Jody's pieces, known as the design line Bead Art-Worth, feature her distinctive Raised Textured Beading Technique. "Beading comes from her soul." Jody finds artistic inspiration in the natural beauty and rhythm of life. Earth, water, air and fire are key elements in her designs. She uses the finest quality beads and a mixture of natural components such as shells, coral, pearls, stone, crystal and more. Jody lets beads speak to her--she doesn't sketch out or pre-plan designs. Jody's journey into design began at 12 years of age with appliqué stitch; embroidery she learned from her grandmother. She has been beading ever since and creating her freeform bead embroidery style for the past 14 years. She owned Beyond Beads Gallery for over 21 years and closed it to follow her passion and dreams. Being a master bead artist allowed her to live on the island of Maui, Hawaii and show her work in incredible venues and sell her one of a kind bead art work to people from all over the world. Jody is currently living back in the Northwest continuing with her journey. She is now able to spend many hours in her studio creating and designing. 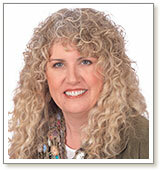 Jody's workshops allow her to travel and share her passion with others. Her purpose of her life is to INSPIRE others. Jody considers her first beading success of owning her store and creating a beautiful bead gallery to share with others making a home of Inspiration of creative minds. Her Button Box Jewelry was published in Bead and Button® Magazine's April 1997 issue. 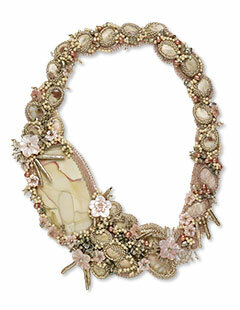 She has been published numerous times in other beading publications. 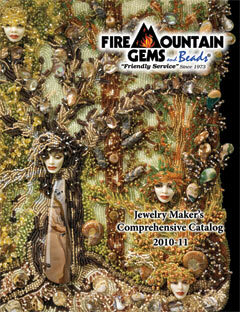 Jody's pieces, known as the design line Bead Art-Worth, feature her distinctive "Raised Textured Beading" technique, seen in the cover art for the Fire Mountain Gems and Beads® Comprehensive Catalog was such an honor for her. She continues her success with sharing her passion and inspiration with others through her workshops and her unique Etsy site. Jody is currently working on her book Beyond the Boundaries with Beads featuring her "Raised Texture Beading." View more of on her website: www.beadartworth.com.